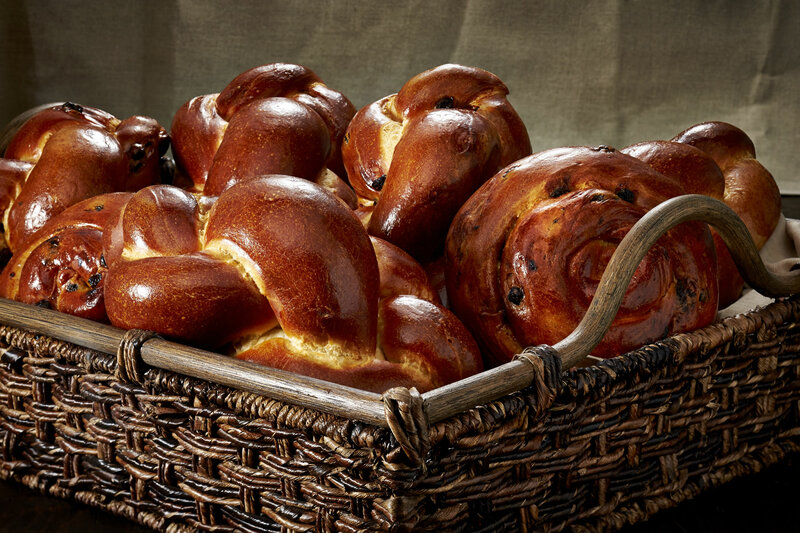 Our lovely, rich and award-winning non-kosher Challah is made the right way—hand-braided and with real eggs. Subtly sweet with a cake-like crumb, it’s a masterpiece of form and flavor. Available styles are Braided Plain, Braided Raisin, Round Plain and Round Raisin (Kosher).